Our favorite Israeli metal band Orphaned Land will return to North America, riding sidecar with doom 'n' gloomers Katatonia on a full tour. The only way to make a real dent in the U.S. is to keep canvasing the country with shows, and Orphaned Land understand that concept. "Hello to all the warriors of light out there! 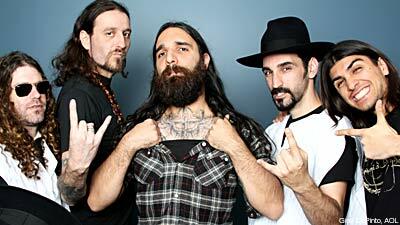 We are extremely happy to be back to the U.S.A. this fall," vocalist Kobi Farhi told Noisecreep. "This time for more shows! We have great memories from the six shows we did just recently, and as soon as we got home, we worked our asses [off] so that we will be back to you all asap. So make sure to be there, and we're looking forward to take you all for our middle eastern metallic journey. Forever orphaned!" 'The Neverending Way of ORWarriOR' is out now.